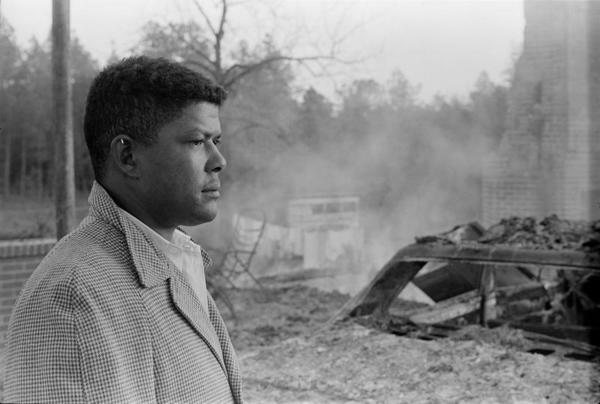 Description: Harold Dahmer, 26, looks over the smoking ruins of his father's house and car in the Kelly Settlement (Hattiesburg, Miss.) the morning they were firebombed on January 10, 1966. Harold, recently discharged from the Army, escaped from the back of the burning house with his 12-year-old brother, Dennis.